Boasts 34 Highway MPG and 24 City MPG! 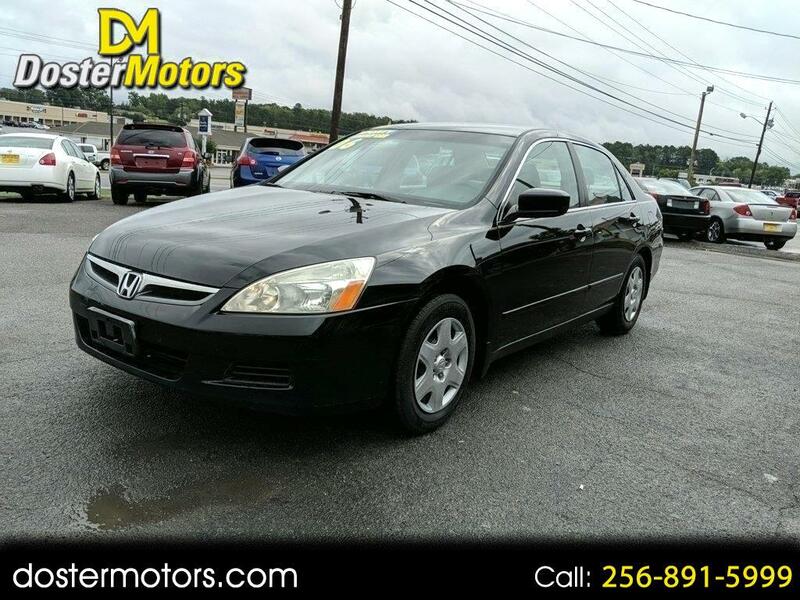 This Honda Accord Sdn delivers a Gas I4 2.4L/144 engine powering this Automatic transmission. Variable-assist pwr rack & pinion steering, Variable intermittent windshield wipers, Tilt/telescoping steering column. *This Honda Accord Sdn Comes Equipped with These Options *Sunglasses holder, Side-impact door beams, Remote keyless entry w/pwr window control, Remote fuel filler door release, Rear window defroster, Rear child safety door locks, Rear center child seat tether anchor, Rear 3-point seat belts, Pwr windows w/auto-up/down driver window, Pwr ventilated front disc/rear drum brakes. * Visit Us Today *Stop by Doster Motors LLC located at 6021 US Hwy 431, Albertville, AL 35950 for a quick visit and a great vehicle! Visit Doster Motors online at www.dostermotors.com to see more pictures of this vehicle or call us at 256-891-5999 today to schedule your test drive.